O2 network problems that hit hundreds of thousands of customers have continued into a second day. The UK leading provider of mobile phones and broadband said its 2G network had now been restored and that customers should now be able to make and receive calls. O2 is advising users to turn off their 3G setting while engineers work to restore that part of the network. The widespread issues began “at lunchtime” on Wednesday which meant many lost voice and data services. It was advising customers still affected by the outage to switch their mobile phones off and on. Few details have been given about what has caused the issues. “We can confirm that the problem with our mobile service is due to a fault with one of our network systems, which has meant some mobile phone numbers are not registering correctly on our network,” said the firm. It is not clear how many of O2’s 23 million customers have been hit by the fault but the operator said the problem was not based on geography. Across the country some will be able to connect at the same location as others who cannot. 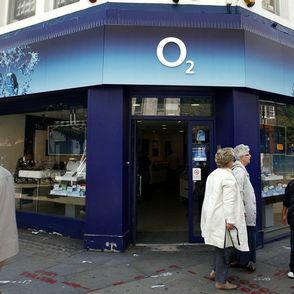 Customers of other organizations that use O2’s mobile masts, such as GiffGaff and Tesco Mobile, were also still affected. Transport for London confirmed that the network issues had affected some docking stations for “Boris Bikes”, the scheme which allows people to hire cycles around London. “We are aware of this problem, and we’re currently working to resolve it as soon as possible,” TfL said in a statement. Customers have been told they can keep track of developments via O2’s service status page.